Anglers familiar with the power and finesse of Okuma Makaira reels know they need a suitable rod to bring out that full potential. One obvious solution to the question of which rods to use with Makaira reels points to Okuma Makaira rods. Anglers have no problem mixing and matching their gear. Still, it’s a good idea to take a look at the rods that match the reels according to the manufacturer. With 24T carbon blanks, high-quality components, and gorgeous artistic design, Okuma Makaira rods offer value on their own accord. Product: Okuma Makaira Saltwater Casting Rods. All Okuma Makaira rods begin with a T24 carbon blank, making them light while able to keep the power an angler requires offshore. In all, there are 6 different casting models to choose from along with 1 spinning popping rod. Get right into the following review and uncover all aspects of Okuma Makaira rods. You’ll discover a true value in the quality and performance, not to mention a more than reasonable asking price. In the Okuma Makaira Rods series, anglers have 6 casting models to choose from. These are all one-piece T24 carbon blanks with fast action, though they vary in power ratings. Customers enjoy the beautiful decorative abalone underlay as well as quality components. Makaira rods come with ALPS guide frames and reel seats. They finish strong in the split grip style with shrink tube up top, and slick EVA grip below the reel seat. Finally, aluminum gimbals come with covers for comfortable stand up fishing when not in a holder. The 6 Okuma Makaira casting rods come with lengths of 6′, 6’6″, or 7 feet. There are 2 models to choose from in each length. In the two shorter 6′ rods you’ll find 6 line guides + the tip and power ratings of heavy and extra-heavy. Zirconium inserts can handle braided line, though they rate for mono between 40-60 and 50-80 pounds. Next up are the two 6’6″ models with power ratings of medium and medium-heavy. They add an extra guide bringing the total to 7 + the tip. These two middle length Makaira casting rod models rate for monofilament line between 20-30 and 30-50 pounds. The final two models are the longest at 7′, add 1 more line guide, and rate medium or medium-heavy for power. They also take mono line in the 20-30 or 30-50 pound range. Okuma does make one Makaira rod model for spinning reels, specifically for fishing poppers on the surface. It offers some extra length at 7’4″ to aid with that task as well as to help with casting. Anglers will find all the same rod components that the casting models use. 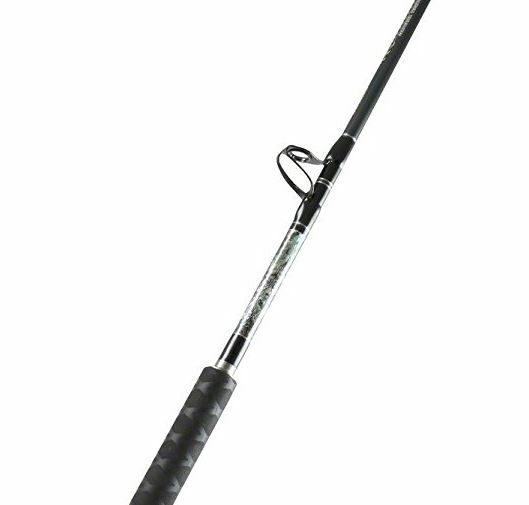 The Makaira spinning rod model is also a one-piece blank with fast action and extra-heavy power. In the style of spinning rods, it uses fewer line guides with 6 + the tip and is capable of fishing mono line between 60-100 pounds. Rod manufacturers use different grades of carbon fiber. The 24T simply means that Okuma uses a grade of carbon that has a tensile rating of 24 tons. This doesn’t bear much significance except to say that this grade of fiber is well suited to the stresses of extreme fishing. It is lightweight with plenty of strength, yet not brittle enough to worry about snapping. 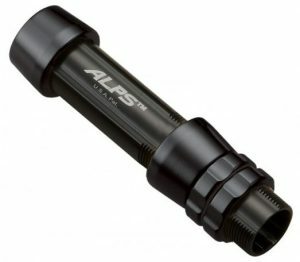 One of the big names in rod component manufacturers, ALPS stands beside brands such as AFTCO and Fuji. Okuma Makaira rods take their guides a step further by using the ALPS Deep Press frames. The big feature of these guide frames is an extra wide ring that enables each insert to lock into place. Taking away the chances of inserts popping out of the guide frames makes many an angler more comfortable with their purchase. While the ALPS guide frames help lock the inserts into place, the inserts themselves are also very high-quality. Using hard Zirconium, the inserts are capable of fishing braided line even though they rate for mono. The properties of Zirconium are strong enough to prevent braided line from digging in and scoring the insert. In addition, Zirconium repels rust as good or better than stainless steel. Staying consistent with the high-quality of ALPS rod components, Okuma Makaira rods use their aluminum reel seats as well as their line guides. Many rods that follow in the same price range opt for the hard plastic Fuji reel seats. Going aluminum and choosing ALPS is a much stronger choice and will ensure the safety of your precious reel. Though some anglers prefer the soft padding of EVA style foam, other like the feel of shrink tube. 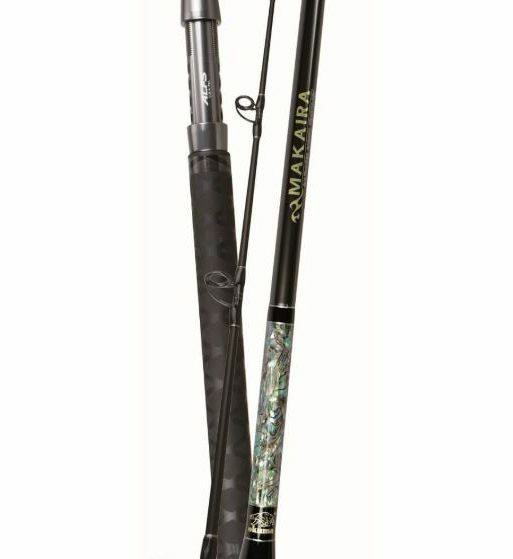 Okuma Makaira rods split the styles of grip from top to bottom handle. Anglers will discover shrink tube above the reel seat while there is a slick EVA grip on the handle below. Once again, the aluminum gimbal makes a better choice than plastic or graphite for locking into a rod holder. As offshore anglers are well aware, aluminum gimbals can cut up your stomach if you aren’t wearing a rod belt. Okuma Makaira rods do come with a rubber gimbal cap to cover up those sharp edges making it possible to fish freestyle. Okuma usually reserves the decorative underlay artistry to custom order rods but decided to mix things up. The abalone look that shows for several inches near the rod base adds an elegant feature to a powerful fishing tool. It really is a thank you type of feature considering the price is already low for the performance of Okuma Makaira rods. While Okuma Makaira Rods might not be quite up to the standards of the Super Seeker series or some of the higher end CalStar sticks, they offer incredible value. The components are high quality and the fast action very responsive and sensitive. Their lightweight carbon blanks belie the powerful recoil that occurs when bent from a feisty fish. When it comes to performance vs price, it’s tough to find a better value. Don’t forget the abalone artwork to add an extra quality of attractiveness. Theren’t aren’t too many complaints from anglers that enjoy the fast action and feel of carbon rods. Okuma Makaira Rods are similar in nature to the Daiwa Proteus series, but some anglers shy away from carbon rods. Fiberglass (E-glass), or a composite mix of carbon and E-glass makes the top of the list for some anglers. Carbon can degrade and become more brittle over time, especially if left in the sun for extended periods of time. What Situations Call For Okuma Makaira Rods? You have the spinning popping rod which calls for an exact use. Topwater spinning reel fishing with a popper to be precise. The casting models will put a hurt to big tuna on the fly line or jack on the up and down. They offer decent casting, though you’ll want a true jig stick for distance if you primarily fish the surface iron. If you can use a fast action rod on the troll, Okuma Makaira Rods provide the aluminum gimbal. Take them out of the rod holder and the fish wonderfully on the deck. Service centers for Okuma gear are located around the world. The North America location is in Ontario, California. Okuma offers registration on all their products and an onsite warranty form. Start the process by registering your product at the Okuma onsite Service Center. Okuma has an excellent reputation for taking care of their customers. 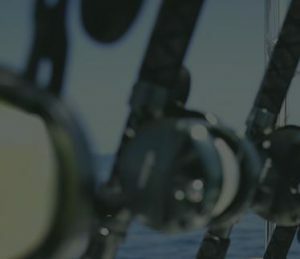 Okuma Makaira Rods make a valuable addition to just about any offshore arsenal. Well suited for fishing mono or braided line, these rods are both elegant in appearance and extremely effective. If you like a lightweight rod with great wood to put your back against powerful fish, look no further. Keep em clean, dry, and out of the sun when not in use and Makaira rods will last for decades. That’s a whole lot of bang for not so many bucks.